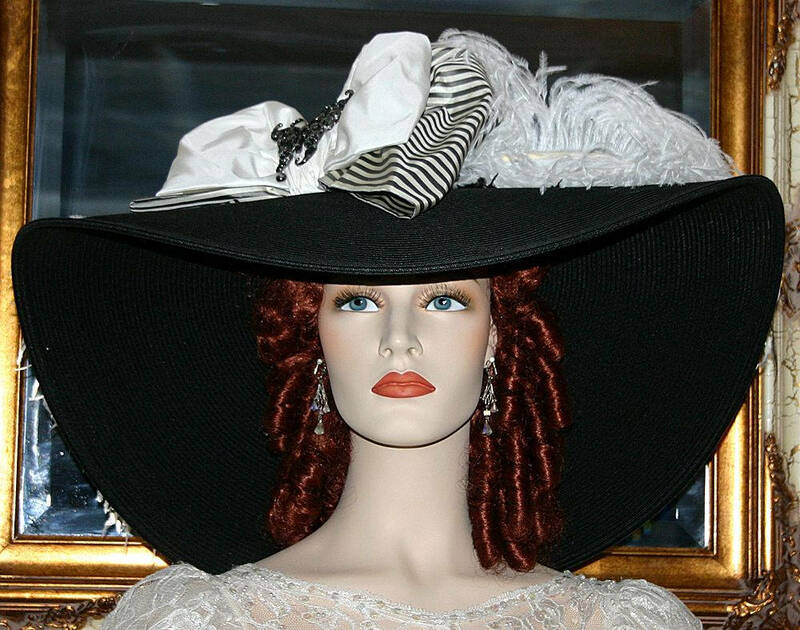 Kentucky Derby Hat "Triple Crown" is a beautiful 24 inch wide brimmed black hat made of black designer straw. 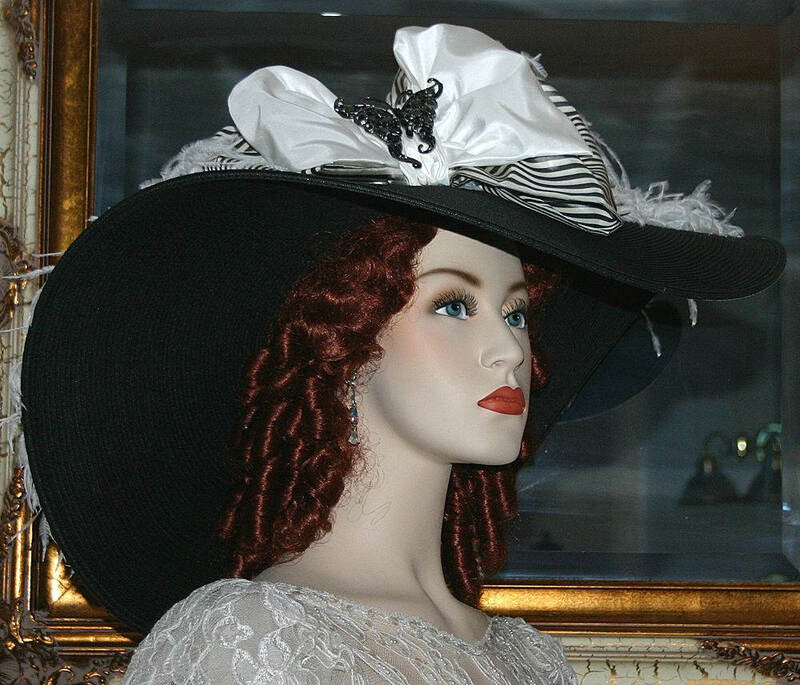 The edge of the brim is wired to give it stability. 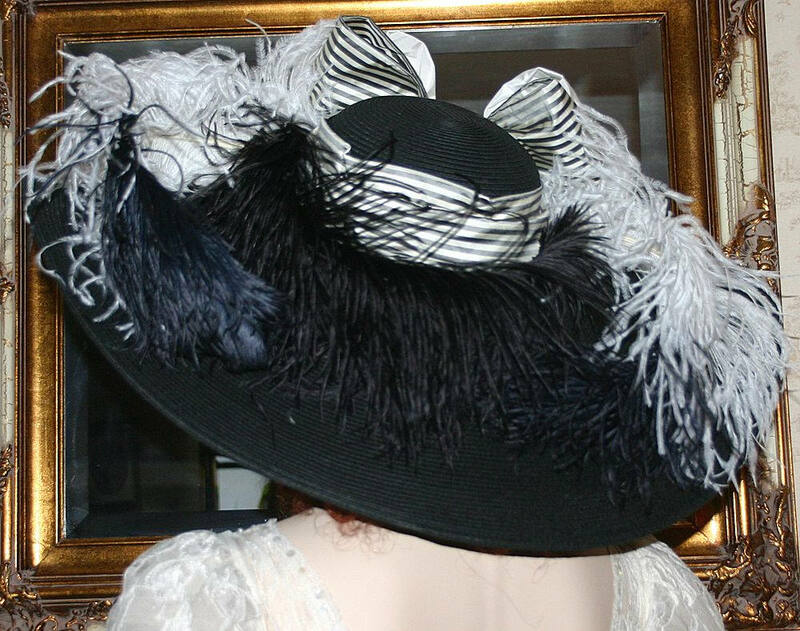 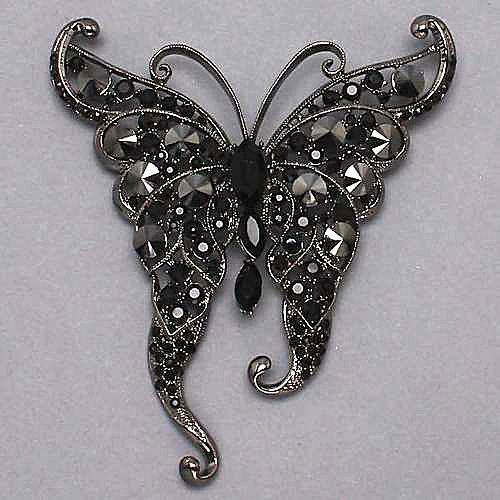 The hat band and bow are a contrast of charcoal-colored stripe and white silk; there is a beautiful black rhinestone butterfly brooch adorning the bow. 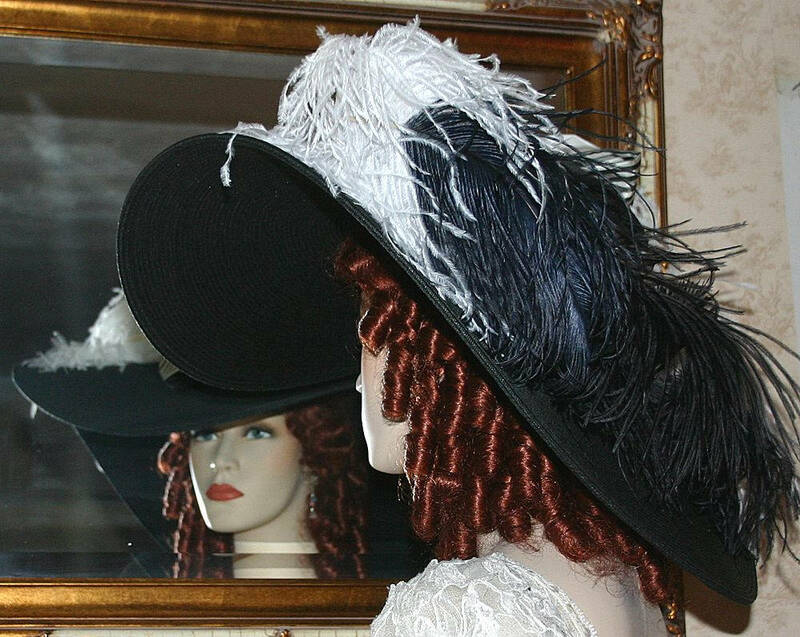 Gorgeous ostrich feathers float above the 8 inch brim.